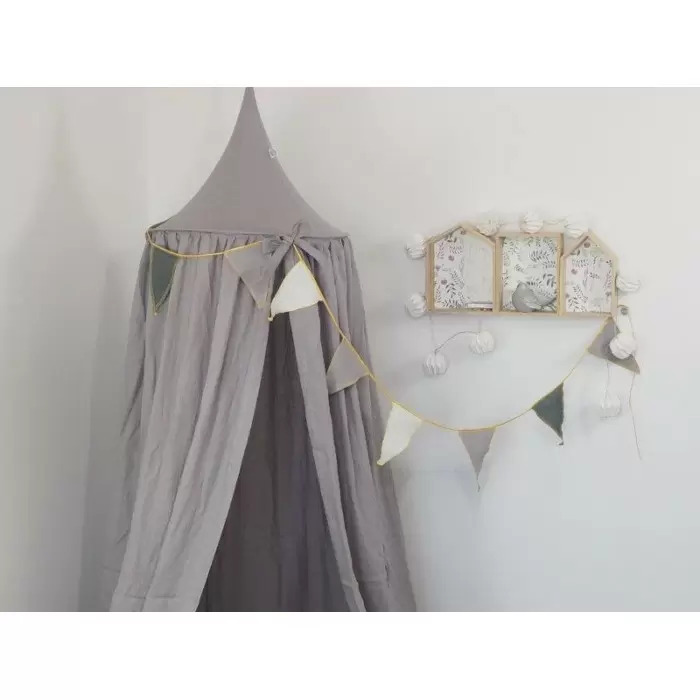 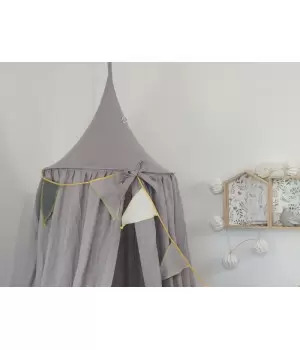 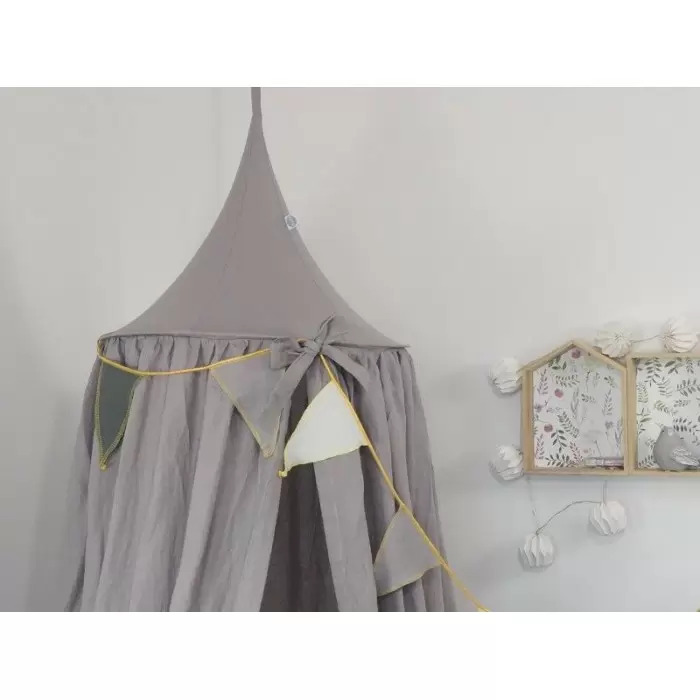 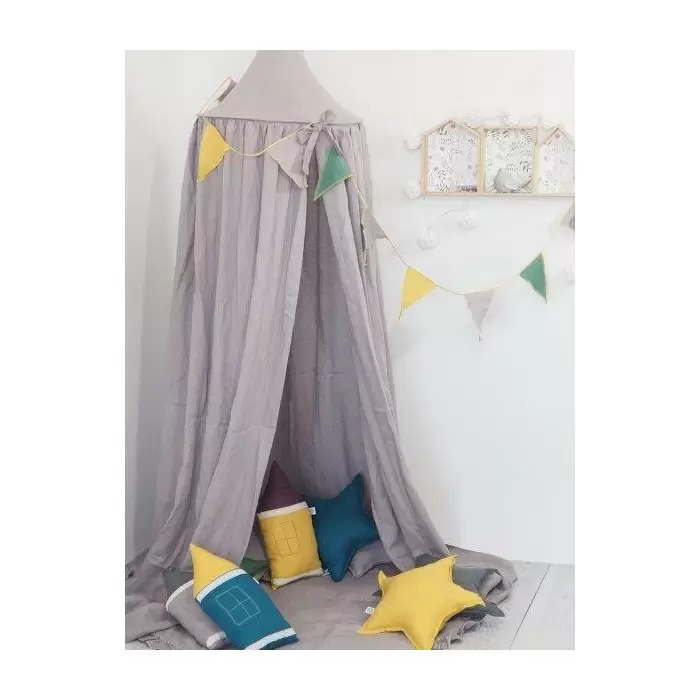 The Linen Canopy is a stylish element of the children's room decor. 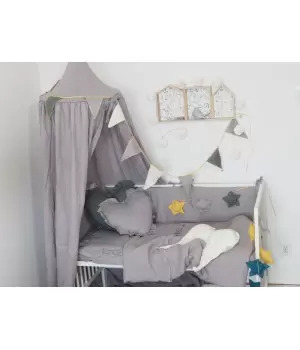 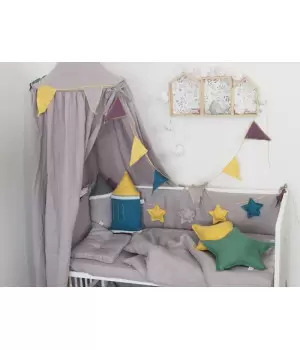 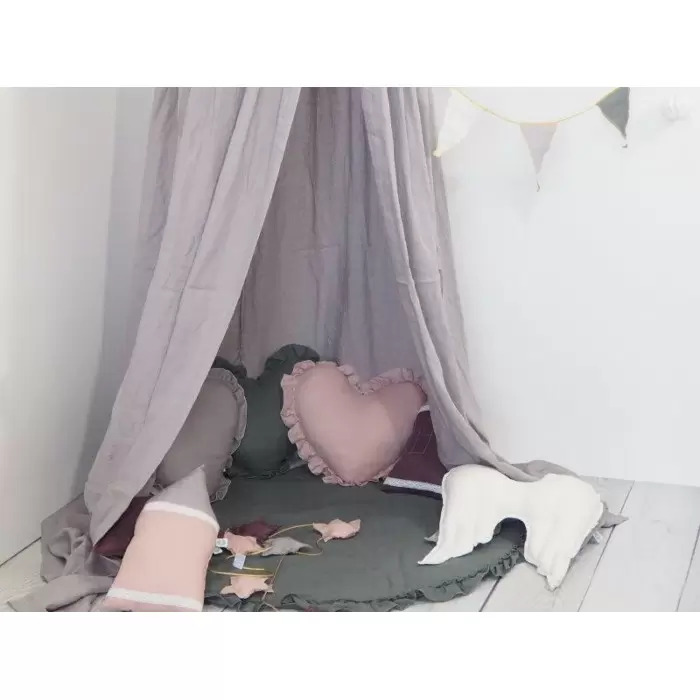 You can hang it over a child's bed or in any other place and create a cozy, magical place to play and rest in which the child will be able to develop his imagination and creativity. 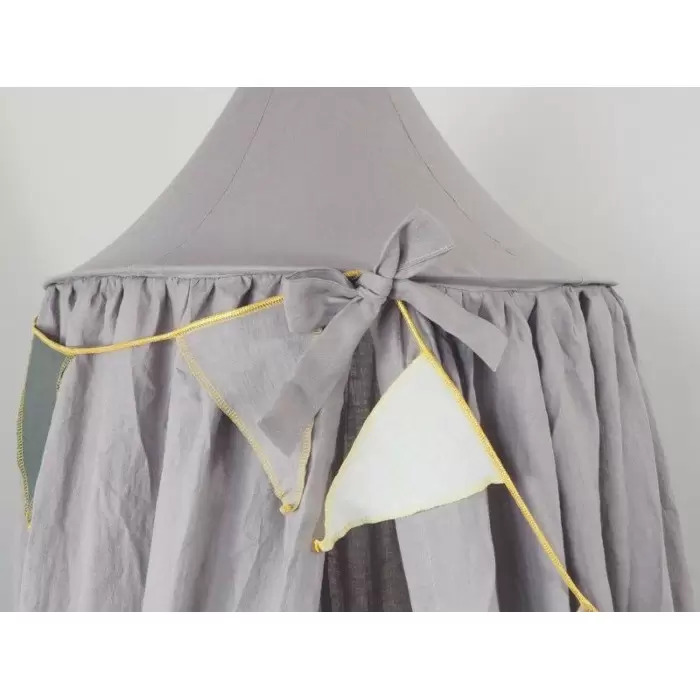 Sewn from delicate, softened flax with slightly crumpled structure. 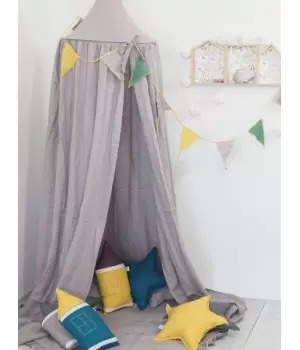 The canopy is sold with a hoop. 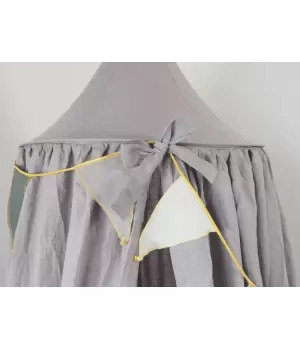 Fixed on ribbons, which allow you to adjust the length. 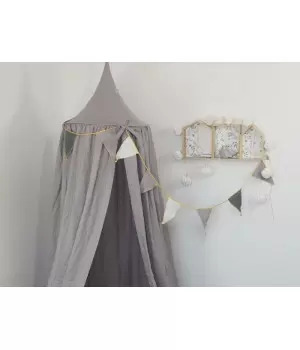 To hang it you need a screw hook. 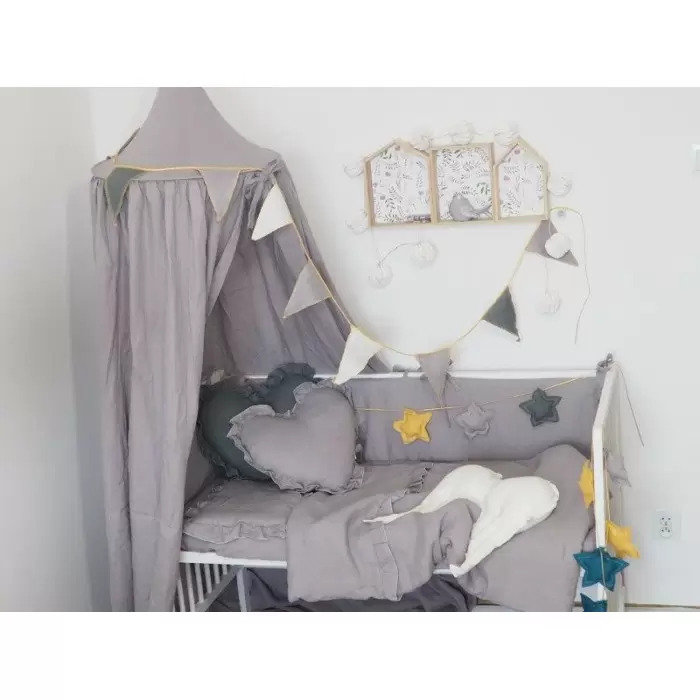 The canopy is easy to clean, just remove the rim and you can wash it.